Turning movies into TV shows seems to be the new big trend. Some examples include A&E’s Bates Motel, a prequel to Hitchcock’s classic horror movie Psycho, and 12 Monkeys over on SyFy, an adaptation of the Brad Pitt sci-fi cult hit.This year alone we’re getting a Limitless and Minority Report show as well as a TV follow up to Sam Raimi’s Evil Dead Trilogy called Ash Vs Evil Dead. But a show that I consider to be the best of these films to TV adaptations is returning this week to NBC and that’s Hannibal. Here’s a brief rundown on what the show is about and why you should give it a shot. Based on the Thomas Harris novels as well as the movie series, Hannibal centers on expert criminal profiler Will Graham (Hugh Dancy) who is brought back into FBI after an extended sabbatical (the result of a psychotic breakdown) by Agent-In-Charge Jack Crawford (Laurence Fishburne). Crawford believes that Graham is the only person who can solve the murders of eight young women because Graham has the ability to think like a criminal. To ensure Graham does not suffer a similar breakdown to the one that caused him to quit, he asks the titular Dr Hannibal Lecter (Mads Mikkelsen), a fulltime psychiatrist and part time serial killer/cannibal, to keep Graham under control. As the show progresses, Graham begins to get suspicious that perhaps Dr. Lecter is the very killer he is hunting, and Hannibal himself is interested in helping Graham to finally cross the line between criminal profiler and criminal. Aesthetically, Hannibal is unlike anything you have seen on television before. Be warned, if you’re someone with a very low tolerance for blood and gore or disturbing images then this is definitely not the show for you. Pretty much each episode of Hannibal has an artistic visual showcase of graphic brutality. Examples of these include a sculpture made out of human body parts, a violinist who makes violins by using human vocal chords as strings and a human body being used as a bee nest. I can’t believe that this show is playing on Network TV, because the violence rivals what you would see on cable shows like The Walking Dead and Game of Thrones. Also, and I can’t believe I’m about to write these words, Hannibal actually makes cannibalism look delicious. In almost every episode, there is an extended sequence of Hannibal preparing a high class, delicious looking meal with what we know to be human organs, and serving said food to his unsuspecting dinner guests. It’s both creepy and appetizing to watch. There’s also a very cool visual effect that is used whenever Will puts himself into the mind of a killer in order to recreate a crime. Finally, the music is incredibly atmospheric and adds to the series’ unsettling tone. The show has a one two punch of great performances, with Hugh Dancy and Mads Mikkelsen both playing really interesting and complex characters. Mikkelsen is absolutely hypnotizing as the titular Hannibal Lector, a man who is both a polite and well spoken professional and a deranged psychotic monster. It speaks to Mikkelson’s amazing work that you honestly want to believe that Hannibal is really a good guy, even though you know he’s the villain of the story. In fact, I would go so far as to say that his portrayal of the character is better than Anthony Hopkins’ Oscar winning performance in Silence of The Lambs. Hugh Dancy’s performance as Will Graham is much subtler than Mikkelsen’s, but just as powerful. You can see in Will Graham a man who desperately wants to be good, but knows that there is something rotten inside of him that could one day turn him into a monster and Dancy plays that off brilliantly. Adding to the terrific leading performances are some great guest performances by the likes of Eddie Izzard, playing a serial killer who tries to be friendly with Hannibal, and Gillian Anderson, who plays Hannibal’s own psychiatrist (now a series regular for Season 3). The relationship between Hannibal and Will is also extremely interesting and complex. Both men are so similar in so many ways; yet different in one: Hannibal acts upon his dark urges, while Will keeps them bottled up. The psychiatry sessions between Will and Hannibal are among the show’s more interesting scenes as you can see both men trying to understand and even change one another for better and worse. The first season starts as a traditional police procedure in which Will and Hannibal solve extremely disturbing crimes, all the while getting to know one another, but the second season, however, gets rid of the case of the week format almost entirely and sticks to the ongoing tension between Will and Hannibal, as both men attempt to influence the people around them into seeing the other’s true dark self. The entire season is basically a game of cat and mouse, with both Hannibal and Will switching between those roles at various points in the season, depending on which man has the upper hand. Hannibal is a very dark show, and because of that it will probably alienate a lot of people who start watching. But, if you’re willing to dive head first into the darkness than you will be rewarded with a very satisfying TV show that appeals to many of the senses and has genuine artistic presence. I’m excited to see where the show progresses in Season 3 and to see how it integrates the storylines of the novels and movies moving forward. Michael Giustini is a 20 year old university student studying History and English Literature at Concordia University in Montreal. He is an avid film and TV viewer and has a passion for writing about what he watches and sharing his opinions with like-minded people. 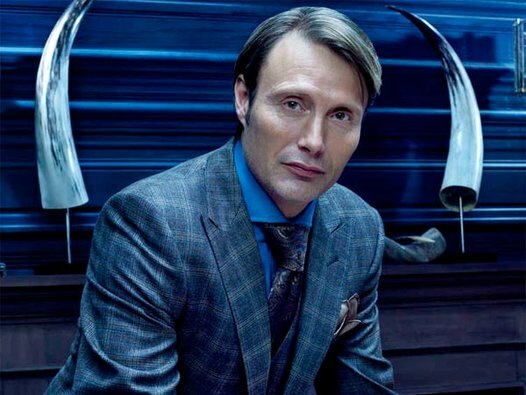 Share the post "Hannibal Returns To NBC for Season 3: Here’s Why You Should Be Watching"